The 2018 Kia Sedona, safe, spacious, and family oriented. The 2018 Sedona comes with power and performance with its 3.3-litre engine producing 276 horsepower that comes standard, providing a 3,500lbs towing capacity so you can tow all your favorite toy wherever you go. The Sedona has a fold-able third row of seats as well as a slide out second row allowing for you to always mix and match for the perfect passenger to cargo ratio depending on whatever you need day-to-day. The 2018 Sedona is also proud to be one of the safest vehicles on the road receiving a 5 star safety rating from NHTSA. Some of the many safety features behind this are Electronic Stability Control, Hill Assist Control, Corner brake control and Roll over prevention, Vehicle Stability Management, blind spot detection, and rear cross traffic alert. The Sedona is unmatched and the clear front runner choice was those looking for a family vehicle. 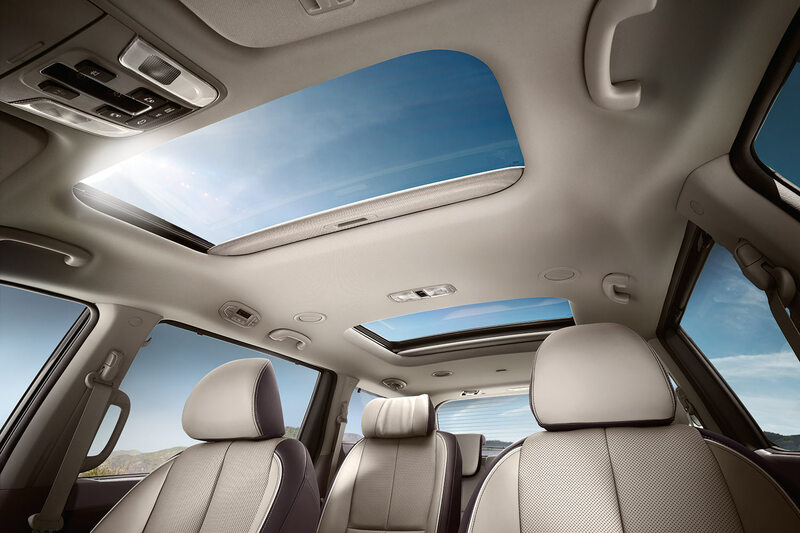 Test drive the new 2018 Sedona today at Orillia Kia. Descriptions, model features and options subject to change without notice. Please speak with a product advisor for complete up-to-date details and availability. By submitting your email address or phone number, you allow us, Plaza Kia of Orillia, to include you on our contact lists to send you information about our products, services and promotions. You may revoke consent at any time by clicking on the "Unsubscribe" link in your email.